Rev. 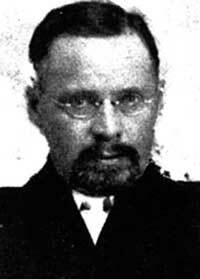 Edmund Greib was educated in Germany and had a desire to be a good pastor serving the Ebenezer church from 1893 to 1895. The more conservative members of the church accused him of not being a true Christian when he suggested that they do anything different than what had been customary in Russia. As a result, he was forced to leave the church in 1895. The church founder, Rev. Johannes Koch, was asked to again take charge of the church. After serving the Ebenezer Church, Rev. Grieb served the Hofnungs Church in Ballard, Washington (1987-1906), the Philadelphia Church in Odessa, Washington (1897-1898), and the First German Church in Seattle, Washington (1898-1911).